In short, all the news about tobacco is bad, except one: you can stop the damage. No matter how long you have smoked, the risk of heart attack begins to decrease as soon as you stop smoking. In eight hours, your toxic carbon monoxide levels return to normal. In one day, your risk of heart attack begins to decrease. During your first year without tobacco, your circulation will improve, your senses of taste and smell will be more acute, you will have fewer lung infections and sinus congestion, and you will cough less. After one year, your risk of heart disease will be reduced by half. The benefits to your health add up every year. You smoke and have decided that the time has finally come to quit smoking? You may even need to work with your doctor or a specialist. Also follow these tips and tricks to help you quit smoking. Giving up smoking requires mental and physical preparation. Choose a "quit date" in the next month and circle it on your calendar. From then until then, prepare yourself for a healthier, tobacco-free life. It's an exciting time, so be enthusiastic. This is your chance to live your life healthier. Stock up on healthy, fat-free chews and snacks, such as sugar-free gum, baby carrots, pumpkin and sunflower seeds, and fresh fruit. The day before the date chosen, throw away all your cigarettes and get rid of ashtrays, matches, lighters and other items related to your addiction. Remember that you are now a non-smoker; you will no longer need them. Tell your friends, family and co-workers when you plan to quit. Do not be embarrassed, even if you have already made this announcement before. Remind them that it often takes several attempts to quit for good and ask them to help you make it your last attempt. Patches, chewing gums, lozenges, inhalers, nasal sprays, nicotine tablets and other nicotine substitutes help make the early days without cigarettes easier. Some are over the counter, others by prescription. 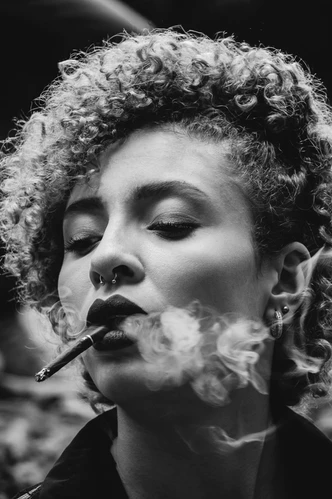 They release nicotine very slowly into the bloodstream, relieving withdrawal symptoms without providing other toxic substances present in cigarette smoke. According to experts, if you still have an uncontrollable need to smoke, you will increase your chances of success by combining a patch with a fast-acting product such as gum, lozenge, spray or inhaler. According to study results, the patch increases the success rate by 7%, the chewing gum by 8% and the nasal spray by 12 to 16%. However, be sure to take adequate doses. For example, if you smoked more than 10 cigarettes a day, choose a high-dose patch (usually 21 mg). If you used to smoke half an hour or less after getting up, start the day with a 4 mg tablet rather than a 2 mg tablet. It is also clear that your chances of success increase if you involve your doctor. Take the initiative. Your GP can give you specific advice and guidance. You will be more successful if this initiative comes from you. Before you quit for good, you can likewise make a meeting with a conduct specialist or smoking suspension bolster gather for your first week without tobacco. Analysts at Oxford University broke down the consequences of 55 considers on smoking discontinuance and found that individuals who were getting help or joining a gathering multiplied their odds of achievement contrasted with the individuals who were attempting to stop alone. There are two prescription medications to help you quit smoking: bupropion (Zyban) and varenicline (Champix). They don't cause addiction and, although doctors can't explain the mechanism, they act by reducing the need for tobacco, increasing your chances of success. Varenicline should be taken for at least 12 weeks; nausea is the most common side effect (pregnant women cannot take varenicline, but may use nicotine replacement medications). Bupropion should be taken for at least seven weeks; headache is the most common side effect. It is not recommended for anyone who has had an epileptic seizure or is at risk of having one. Before prescribing any of these medications, your doctor will ask about your medical history and the list of medications you regularly take. First identify what makes you smoke (coffee and alcohol are common triggers). Then do your best to avoid situations where you would have automatically lit a cigarette while you were smoking. Avoiding alcohol and replacing it with mineral water or fruit juice can help during that initial two to three month period when you are most vulnerable. Later, you can enjoy a drink with more confidence, but remember that alcohol always reduces inhibitions. You must therefore remain vigilant. You can really see how much you would have spent. Dedicate that money to something you've always wanted to do, but never thought you could afford, whether it's a cruise to Alaska or a first-class ticket to visit a former college friend. Physical activity will help you quit more easily. You will eliminate stress hormones, which will reduce the need to smoke, and you will produce "happiness hormones", which will reduce the feeling of withdrawal. Some studies show that those who exercise regularly are twice as likely to quit smoking. In addition, it limits the possible weight gain of 2 to 4 kg (5-10 lbs) that may accompany smoking cessation. These natural foods contain many cell-protecting antioxidants that protect against heart disease, stroke and many forms of cancer. New research indicates that they can even motivate you. A study conducted in a University of Buffalo found that smokers who consumed the most of these foods were 3 times more likely not to have smoked in the past 30 days than those who consumed less. Researchers don't know exactly why, but they believe that fruits and vegetables can make cigarettes taste bad, making them even less attractive. Bonus: you get a vitamin and cholesterol-lowering fibre supplement. It is more difficult to quit smoking when you are surrounded by smokers, since temptation is omnipresent. Also, breathing smoky air is bad for the heart. Explain the situation to your family and ask them not to smoke with you. Smoking is particularly bad for the heart. Smokers are 70% more likely to die from heart disease than non-smokers. According to the results of a Finnish study of 4,047 men and women, a smoker under 40 is five times more likely to suffer a heart attack than a non-smoker of the same age. Smoking causes an increase in heart rate and blood pressure, an increase in blood clotting factors and harmful triglycerides, and a significant decrease in HDL ("good" cholesterol) levels, in addition to damaging blood vessel walls. Tobacco also plays a role in vascular diseases such as stroke and impotence, as well as lung diseases such as chronic bronchitis and emphysema. 10 Tips to quit smoking. Here is 10 other tips that can help you, check this.